All models of coolers can be divided according to the method of installation into two types - floor and less overall table, according to the method of connection to the bottled and flowing. Desktop water coolers are well suited for use at home, because their dimensions are much smaller than floor models. They function by means of an electronic type of cooling. Coolers with electronic cooling, as a rule, cheaper compressor, they have a low rate of cooling water and the maximum cooling temperature is lower than that of the apparatus with compressor cooling (up to 10 -15 degrees) . The work of desktop coolers is almost silent, as the absence of moving parts in the desktop cooler significantly extends the life of the future operation. The desktop cooler is very portable because it has a small size. Floor coolers work on the basis of compression cooling system. Compressor cooling system works on the principle of a conventional refrigerator. A distinctive feature of this type of cooler - high speed and relatively low water cooling temperature (up to 3 degrees) . Water cooler with such characteristics is suitable for a room with a large number of people or when you like really very cold water. Floor water coolers are a little more expensive, but they have a number of advantages. These coolers do not need a stand, so the "excessive" size can be successfully used, for example, under a small cupboard for dishes, food or personal belongings, as well as complemented by a refrigerator and ozonizer. Ozonizer provides water disposal and eliminates odors in the room in which the cooler or refrigerator. The advantages of running cooler, you can determine with the naked eye. Firstly, they are connected directly to the water supply, it ensures always at hand the constant availability of purified water, and secondly, flow coolers ensure the availability of this water (carbonated, cold or hot) in unlimited quantities. The maximum heating temperature is 95 to 98 degrees Celsius and the minimum cooling temperature is 4 degrees. The water in the flow cooler is purified by 96-98 % of all harmful substances that come from the water supply. 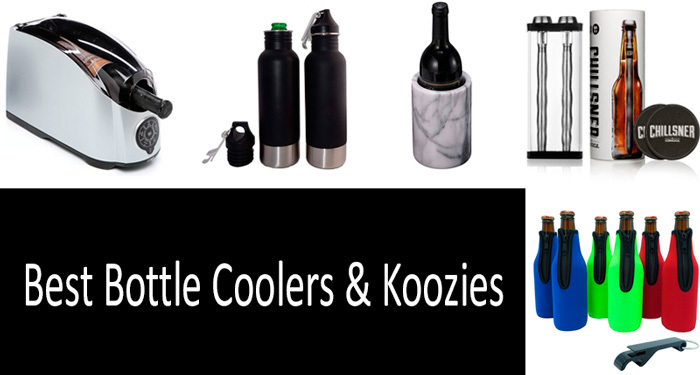 The bottled coolers have their positive sides, they are portable and do not take up much space in the room. Purified water in bottled coolers provides for the presence in the liquid of all the necessary microelements and minerals for the body. The system built into this type of cooler allows you to heat or cool drinking water to the desired temperature for its use. For more convenient use, floor and table cooler can provide additional functions of electronic clock, backlight, protect children from hot water. Various design options will help you easily choose a cooler that is strictly suitable for the interior of your room. The most important thing do not forget to clean them from any muck, we often call the office of the master for cleaning, because just got a light poisoning. The cooler works on the principle of the refrigerator, which cools the water tank. It cools with Peltier elements: a current is passed through the junction of dissimilar semiconductors. One semiconductor heats up, the other cools down. Here is this cooling and is used. So many detail you share about cooling water.